Hudson's Bay has a new Estee Lauder free gift with purchase offer! 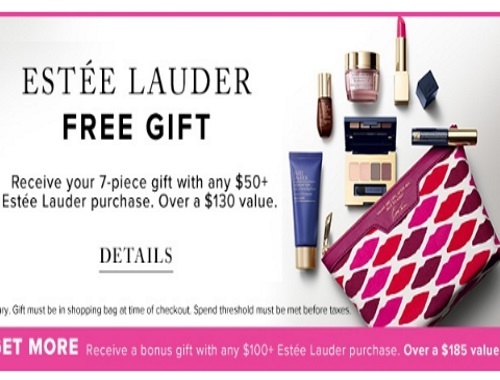 Get a 7 piece gift free with any $50 Estee Lauder purchase! a $130 value! This time around this gift with purchase is quite customizable. You can choose a moisturizer and makeup trio. Offer is available for a limited time, online and in-store. Click here to browse beauty at Hudson's Bay.